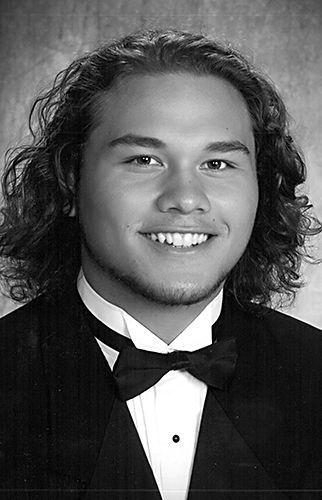 FLORENCE — Gayfred “Gator” Hanohano, Jr., 19, of Florence, passed away January 22, 2019. He was a member of Kappa Sigma Fraternity at Millsaps College, Jackson, MS; and a student at the University of Alabama. Gator was a 2017 graduate of Wilson High School where he lettered in football, basketball, and baseball. He was an outstanding young man who was beloved by his family and friends. Visitation will be Monday, January 28, 2019 from 11-2 p.m. at Greenview Funeral Home with a memorial service beginning at 2 p.m. in Greenview Memorial Chapel. Gator was preceded in death by his grandfather, Travis Wallace; great-grandmother, Thelma Spencer of Hilo, HI; great-grandparents, Everett and Jewel Wallace, and Ethridge and Vallie Lineberry. He is survived by his mother, Leigh Wallace of Florence; father, Gayfred Hanohano of Hilo, HI; grandparents, John and June Wendell of Williamsburg, VA; aunt Lisa Baker (Bob) of Athens, and aunt Jana Wallace of Killen; and cousins, Katherine, Will, and Wynn Baker of Athens. Honorary pallbearers will include; Jacob Palma, Garrett Burnett, Brady Mays, Colton Fulmer, Dalton Fulmer, Jay Decatur, Larry Decatur, Tucker Rhodes, Tucker Donalson, Skyler Edwards, Broc Delia, Jeff Jankowski, Peyton Balentine, Brady Landers, Zak McBrayer, Conner Hall, Carson Vickery, Chance Young, Dylan Higgins, Brandon Jones, Kyler Stults, Javen Clanton and Carson Fulmer. The family wishes to express thanks to David Goins of Studio G Sports Photography, special friends, Tristin Fisher and Maggie Hovator, and the entire Warrior Nation. In lieu of flowers, donations may be made, in Gator’s name, to the Wilson High School Booster Club or to the Florence/Lauderdale Animal Shelter. An online guest book may be signed at greenviewmemorial.com.